The Three Lakes Academy invites you to visit the links informational below. It is the mission of the Eastern Upper Peninsula Intermediate School District to serve, support, and lead its constituents. Beyond national parks, the National Park Service helps communities across America preserve and enhance important local heritage and close-to-home recreational opportunities. Grants and assistance are offered to register, record and save historic places; create community parks and local recreation facilities; conserve rivers and streams, and develop trails and greenways. DNR's Parks and Recreation Division manages one of the largest state park programs in the nation with 97 state park and recreation areas. 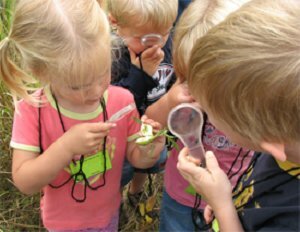 In seven of these locations, DNR has Visitor Centers with full time staff to interpret nature through a variety of school programs, family events, and outdoor experiences. In addition, two Michigan fish hatcheries also have visitor centers, and staff, to provide aquatic education experiences.